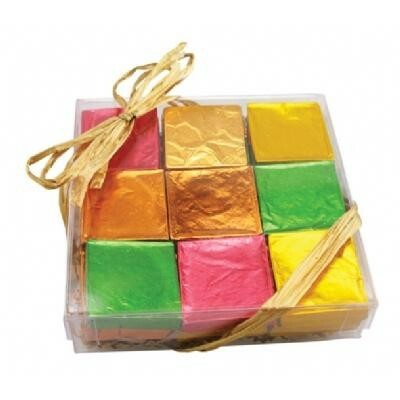 27 chocolate candy squares in assorted flavors packaged in clear gift box and tied with raffia ribbon. Includes milk, dark, white and dark mint chocolate squares. Price includes 4 color label on box. 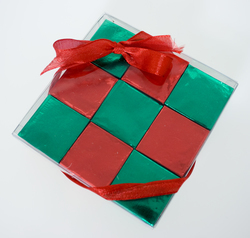 Makes a great food gift or autumn fall holiday promotional giveaway.